Sony has revealed the free games PlayStation Plus subscribers will have a chance to tackle next month. Following a big September headlined by Destiny 2 and God of War III Remastered, Sony will serve up the appropriately-Halloweeny Friday the 13th: The Game and arcade multiplayer game, Laser League in October. Sony is also once again offering the PSVR horror title Here They Lie and the PlayLink party game Knowledge is Power as bonuses. Check out a trailer for the new additions, below. Players can take on the role of a teen counsellor or Jason Voorhees. As a teen counsellor, you and up to six other unlucky souls will do everything possible to escape and survive while a masked killer tracks you down. 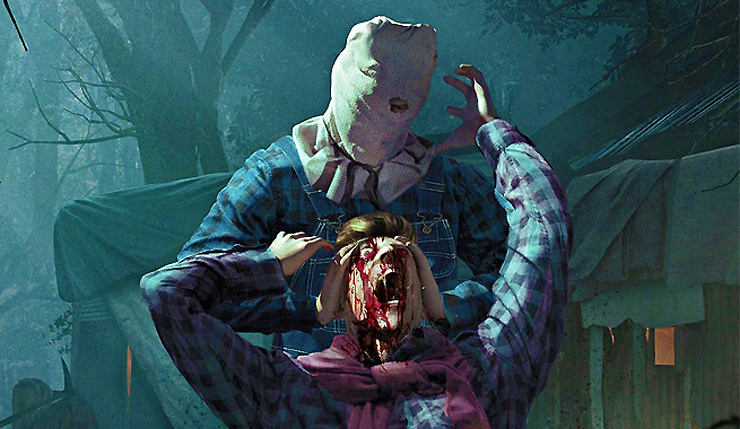 Survival is entirely up to the player as you either hide from Jason or work together to either escape or bring the fight to Jason. How will you play? This all new multiplayer experience is easy to pick up and incredibly fun to play. What starts out as a simple test of your reflexes becomes a strategic competition with deep team tactics. Developer Roll7 (OlliOlli series and NOT A HERO) brings their approach to a near-future competition. The October PS Plus lineup is definitely a step down after getting Destiny 2 and God of War last month, but it’s not that bad. Friday the 13th is fun in small doses, and don’t sleep on Laser League – it’s a surprisingly good local multiplayer experience. I’d also suggest giving 2064: Read Only Memories a shot if you’re into visual novels. What are your thoughts on October’s free PS Plus games? Which game will you be tackling first?